Well done, you’ve made the crucial first step on your cardboard baler journey. You have the intent and desire needed to successfully invest in a cardboard baler. Further than that, by landing on this page you are doing the correct research necessary to ensure you pick the right cardboard baler, and not an old piece of junk that will lead to disappointment. In this guide we are going to look at 11 of our recycling machines that will aid your business’ recycling activities. Let’s go! Let’s start small and work our way up. The KM102 is roughly the size of a filing cabinet, meaning it won’t take up vasts amount of space. In fact, with its baling properties, it’s far more likely that the machine will save you space. Consider you have loose cardboard, plastic and general waste taking up valuable space around your warehouse. Well, not any more, this cardboard baler will turn the waste into small bales, maximizing space efficient. If your business is paying for four or more bin uplifts per week, this is a great option for you. Perfect for: Supermarkets, retailers and small premises. The KM205 takes up slightly less physical space than it’s ‘brother’, the KM102, but impressively, produces bales that are twice the size. Fitted with a bale-out indicator to know when it’s time to empty the machine, you won’t have any problems getting to know this piece of equipment. The small design makes it perfect for small to medium sized premises, and will allow you to take a more eco-friendly friendly approach to recycling. Perfect for: Retailers and hotels. We are getting bigger now, with this brilliant medium sized cardboard baler that comes fitted with an automated bale-out feature as standard! 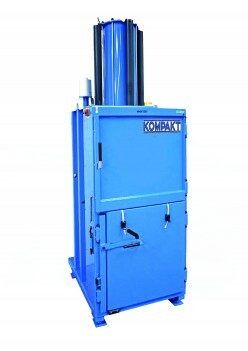 The vertical chamber and automated system allow your staff to get on with their work whilst the machine takes care of the waste, produces dense bales rapidly. With low running costs and a low noise output, this machine is a perfect place to start for businesses with a medium to large waste output. 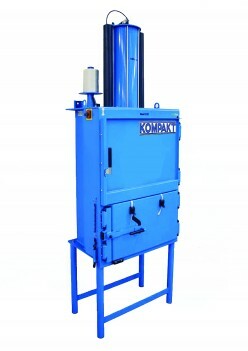 The KM306 is the larger, dual-cylinder equivalent of the KM305, and is suited to larger waste volumes, for businesses who need a quick waste to bale turnaround. Like all of our machines, this baler is EN16500 compliant, meaning it is great for environmentally conscious businesses who wish to reduce their CO2 emissions. The deep and wide pressing chamber allows for a faster baling cycle, making it perfect for businesses with a larger waste output. 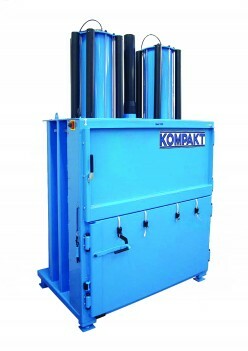 Perfect for: Small warehouses and manufacturing companies. Are you looking to handle large volumes of waste in a small amount of space? The KM509 cardboard baler is for you. 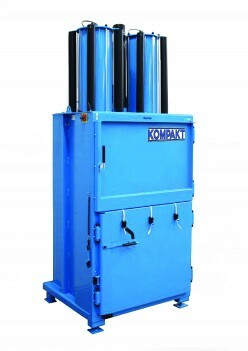 With a maximum bale weight of 400kg, this machine packs a powerful punch in a small amount of space. With an extra wide door opening, your employees won’t have to spend time stuffing material in, meaning they can get on with their usual work. 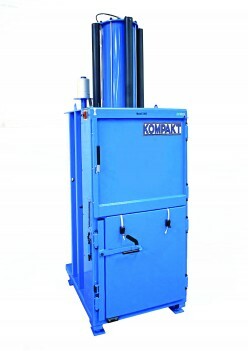 Automatic ejection onto a loading pallet saves time and energy, and is a popular feature for many of our customers. Perfect for: Warehouses and logistics.